Purses seem to be the accessory of choice. I have to admit, though I like a nice handbag I am not obsessed with them like some are. I am always amazed by the amount of money some women are willing to spend on a bag. 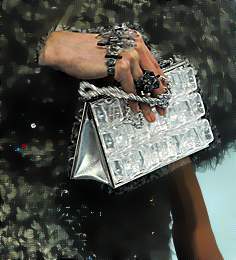 What surprises me most is the amount of bling and hardware some of these bags have. They are heavy and cumbersome and will be out of fashion in no time. With that said, we all have our vices when it comes to our favorite articles of adornment. 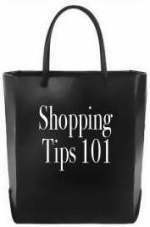 Here are some fashion tips to keep in mind while shopping for a purse. You're at a store or shopping the net. You see a purse you just got to have. Practice this exercise before you give them your money. Imagine you are looking at a photograph of yourself, say 5, 10 or 15 years from now. Look at the bag you're holding or slung over you shoulder, is it almost as large as you? Does the hardware create a sunspot on the photo? Does it make you look like you are wearing a sling for a newborn baby? If you answer yes to any of these questions , look for a different handbag. In other words is it photo worthy? If you don't think so, keep searching. There are some truly beautiful designer purses out there. 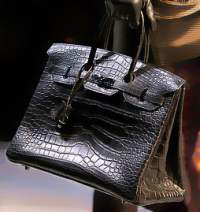 Go with the tried and true brands like Hermes , Chanel, Gucci or Vuitton and choose a classic not trendy handbag. There are lots of choices for women to get their fill when it comes to the perfect bag. Look at vintage store and consignment shops. Keep in mind if your looking at used bags, be sure the hardware is in good shape. The skin of the bag also has to be is good shape. Pen marks and stains will probably not come out. Also look at the lining, make sure there are no holes that can't be easily repaired. 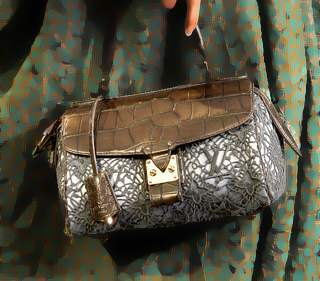 Many department stores and discount houses sell excellent quality purses without sticker shock pricing. The net has quite a few discount hot-spots for designers bags as well. Another place to look for great bags are boutiques and art galleries. Some of the most beautiful purses I have ever seen have been in these kinds of establishments. And don't forget the import shops. So if you want the opportunity to have a few wonderful purses with out the price, get creative. There are a lot of opportunities to find fabulous bags out there.